On our dining room table can always be found several items. We’ve got your typical salt and pepper shakers, napkin holder, and sugar bowl, with a candle for mood lighting. We also have the more atypical salt alternative and the cinnamon sugar shaker. And there is Chloe, our cat, lurking in her basket in the background. Apparently there are other items that have recently been deemed as dining room table worthy. Anyone up for mealtime math? 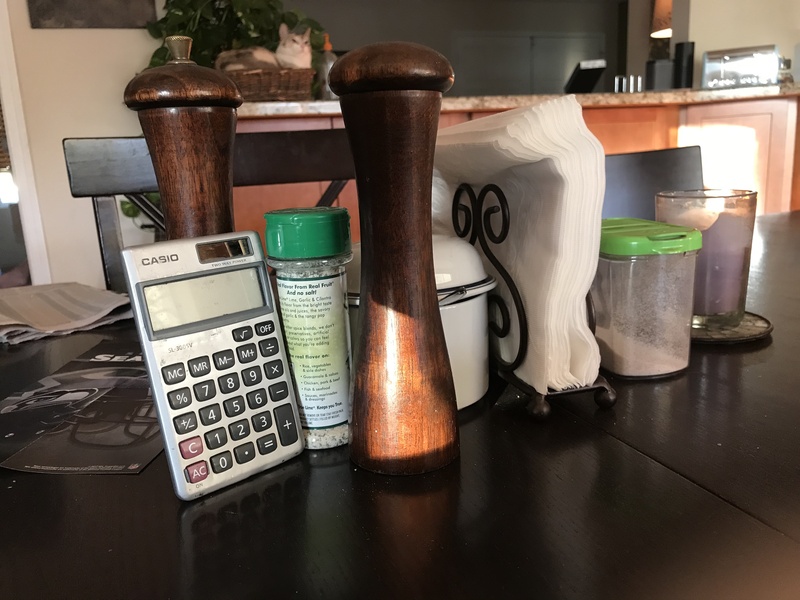 This entry was posted in Simple Sunday and tagged Family, Humor, Kids, Life, Math, Parenting, Simple sunday. Bookmark the permalink.